Nisshinkan (日新館) is Samurai School of Aizu Domain built in late Edo period. It was established in 1803 by Matsudaira Katanobu. This Nisshinkan is reconstructed and displays the all the classroom and lectures which samurai of Aizu studied for their combat skills and literatures. Members of Byakko-tai also studied at Nisshinkan. It is one of major tourist spot in Aizu-Wakamatsu. Admission: 600 yen for adult, 500 yen for high and jr. high students. 450 yen for kids. There is group discount and handicap person. Note: the touring course is different between summer time and winter time. Video shows winter touring. 1. use JR Ban-etsu west line to Hirota. 2. walk north (30 min.) or take taxi. Nisshinkan was established in 1803 by Matsudaira Katanobu. His Karo, Tanaka, emphasized the importance of education of youth. He said "The development of Aizu is depend on the young generation." The members of Byakko-tai studied their combat skills and literature at Nisshinkan. 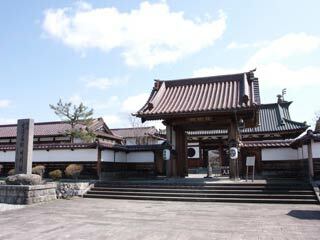 ... is the main gate of Nisshinkan. In the Edo period, only the lord and upper class Samurai could pass through this gate. Students entered from the east and west gates. The video features discussion of the origin and present style of Nisshinkan. ... housed the school's guardian spirit. Geki-mon also housed a large drum which was struck to mark the beginning and end of classes. There is a large sign at the inside top of the gate "Kinsei Gyokushin" which says "If you pass through this gate and study hard, then guardian sprit will help you to become wise and virtuous." Samurai children entered this elementally class at the age of 10. Students over 13 years old studied "Shodo (Japanese calligraphy). Astronomy was an optional study at Nisshinkan. Students learned the social manners of Samurai. Shrine for the worship of Confucius. In Edo era, Confucianism placed a very important role in education. For strategy and tactics class. You can experience traditional Japanese archery at Nisshinkan. There are 3 dojo, and 2 archery ranges. Also, shooting range, and training room for riding horseback. Swimming pool for how to swim with full armor.